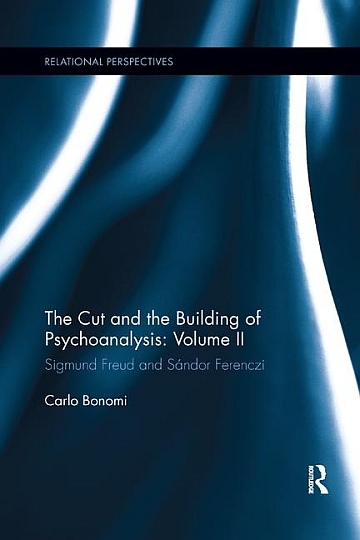 The Cut and the Building of Psychoanalysis Volume II explores how the unformulated trauma associated with surgery performed on Emma Eckstein’s genitalia, and the hallucinations that Eckstein experienced, influenced Freud’s self-analysis, oriented his biological speculations, and significantly influenced one of his closest followers, Sándor Ferenczi. This thought-provoking and incisive work shows how Ferenczi filled the gaps left open in Freud’s system and proved to be a useful example for examining how such gaps are transmitted from one mind to another. The first of three parts explores how the mind of the child was viewed prior to Freud, what events led Freud to formulate and later abandon his theory of actual trauma, and why Freud turned to the phylogenetic past. Bonomi delves deeper into Freud’s self-analysis in part two and reexamines the possible reasons that led Freud to discard the impact and effects of trauma. The final part explores the interpersonal effects of Freud’s self-dissection dream, arguing that Ferenczi managed to dream aspects of Freud’s self-dissection dream on various occasions, which helped him to incorporate a part of Freud’s psyche that Freud had himself failed to integrate. This book questions the subject of a woman’s body, using discourse between Freud and Ferenczi to build a more integrated and accurate narrative of the origins and theories of psychoanalysis. It will therefore be of interest to psychoanalysts, psychotherapists, psychologists and social scientists, as well as historians of medicine, science and human rights. Bonomi’s work introduces new arguments to the contemporary debate surrounding Female Genital Mutilation. Carlo Bonomi is President of the International Sándor Ferenczi Network and Chair of the 13th International Sándor Ferenczi Conference (Florence, 2018), a training and supervising analyst at the Società Italiana di Psicoanalisi Sándor Ferenczi (SIP-SF), Associate Editor of the International Forum of Psychoanalysis and on the editorial board of several psychoanalytic journals. He has taught History of Psychology and Dynamic Psychology at the State University of Florence and is a former President of the Centre for Historical Studies of Psychoanalysis and Psychiatry.